The Supreme Court has ruled in Montgomery v Louisiana that Miller is retroactive, and further, that new legal factors will now re-open the long term and life sentences of many juvenile murderers, not just the lifers. Victims families are already expressing devastation and horror because no matter how many years have passed since the murders of their loved ones, we are all headed back into lengthy, agonizing new legal proceedings. We urge all victims families to contact the prosecutors in the county where the trial and murder took place for updates. We also request that all victims families send information about any news in their cases or their states and their legislatures to NOVJM@aol.com, or share on our Facebook group or twitter @VctmsTeenKillrs – we are trying to keep track of everything that is happening on this issue across the nation and need to hear from all involved. Call Jody, Bobbi or Jennifer at the phone numbers listed below on the website for questions, information, or any other concerns. NOVJM is still analyzing the ramifications of this ruling and will hold informational national conference calls on the matter with attorneys soon. Stay involved with our internal discussions by joining our NOVJM Facebook group. Ever since the summer 2012 ruling by the U.S. Supreme Court in Miller v Alabama that life sentences for teen killers cannot be mandatory, advocates for the juvenile offenders have been pushing to apply this ruling “retroactively”, in other words even to cases often long since finalized and past. The Supreme Court has a case pending, Montgomery v Louisiana, that should decide the disagreement among states about this question later in 2015 or 2016. We are very concerned, for obvious reasons, as to how this will come out. The process is agonizing for many of us. Since SCOTUS turned down cases coming from prosecutors in retroactive states, and accepted a case from an offender from a non-retroactive state, we are fearful that they will rule what we believe to be the wrong way. For victims families, the “retroactive” application of the Miller Supreme Court ruling means only one thing – more torture and endless agony for our brutalized families. So many families have contacted us in utter exasperation – how can this be?! How can cases long since finalized, fully appealed many times, be re-opened?! Their emotional trauma has been palpable. We realize that trying to get Miller to be applied retroactively is a top priority for the national juvenile justice reform movement, one into which they have sunk literally over a hundred million dollars – to offer a chance to freedom for 1300 of the current “juvenile lifers”. We realize that we can never match them in staff, funding, legal and support staff. All any of us ever wanted were our loved ones back. Failing that, we have asked for peace in our grief, and an end to having to deal with these offenders in our lives. We deserve, we ask – at the very least – legal finality in our cases so that we do not have to continually go back to court over and over in the long span of our lives to interact with these convicted murderers who ruined our lives. Why do our NOVJM victims families care about whether or not this ruling should be interpreted as retroactive or not? Because if it were to be interpreted as retroactive, offenders who killed our loved ones, some many years ago, would face re-opening of these long since finalized cases. And in most of those cases it would not be possible for victims rights or due process rights to be achieved. Victims families in murder cases resulting in natural life sentences walk away generally believing this horrible chapter in their life is behind them. They don’t register for notification or monitor the case or offender. They don’t retain records they might need one day for a parole hearing. Witnesses die. Records prior to the digital age often times cannot be found. We are not the only ones who believe that retroactivity violates our constitutional rights, including the ability to have due process of law fully functioning in these cases. No doubt the worst impact on victims families is the psychological – the re-opening of wounds that we get regular reports of from our family members. How painful this whole process is – how life destructive. What juvenile justice reform advocates propose is legally very controversial. We know that any retroactive application of a change to cases LONG since finalized could seriously harm victims families. The Supreme Court did NOT address retroactivity in their ruling, leaving this matter to previous precedent and for courts to debate. So what IS the precedent in this matter? In a landmark case called Teague the Supreme Court declared that an individual may not seek to enforce a new rule of law in federal habeas corpus proceedings if the new rule was announced after the petitioner’s conviction became final, or if the petitioner is seeking to establish a wholly new rule or to apply a settled precedent in a novel way that would result in the creation of a new rule. Ever since that ruling, cases such as the recent decision on life without parole sentences for teen killers have been applied only to current and future cases. But courts all over the nation are being asked to rule on retroactivity by advocates for juvenile justice reform who argue that these offenders’ cases should be re-opened. Legislatures are also debating it, especially due to the high-budget advocacy campaign launched by offender advocates. One claim offender advocates make in their push for retroactivity is that the Supreme Court applied the partner case to Miller, Jackson v Hobbs, to a past case not still open under direct appeal. But we see courts around the nation already hearing the facts on that – the state of Arkansas in Jackson v Hobbs had WAIVED retroactivity, thereby making the issue moot in the case. The preservation of Due Process of law, a fundamental constitutional principle, made impossible when one would re-open a case long since closed where all parties and evidence are long gone. Miller seems clearly a procedural change in how life without parole is imposed. The ruling did not absolutely prohibit life without parole (LWOP) sentences. It said they could not be “mandatory”,requiring courts to consider all appropriate factors in sentencing including maturity of the offender. LWOP sentences for teen killers are still entirely legal as long as they use procedures that allow judges or jurors to evaluate whether or not that is the appropriate sentence. The Minnesota Supreme Court’s insightful and perhaps groundbreaking ruling that Miller v Alabama was NEITHER procedural nor substantive. This legal analysis by Constitutional scholar Kent Scheidegger well explains the current legal situation around the issue of retroactive application of Miller. This testimony before the Michigan Legislature by national legal expert Charles Stimson well summarizes and explains the issue following Miller. Rulings to date are mixed – courts at many levels are considering this issue and states are divided with several states ruling one way and several state Supreme Courts ruling another on the issue. This division was what has compelled the Supreme Court to take the issue up again. This chart from the Pew Foundation, which opposes life sentences for juveniles who commit first degree aggravated murder, summarizes the state of the various states as of Aug 2013. However there are some inaccuracies on it, we are told by legal experts. Mississippi is in a confused legal state at best because their Supreme Court ruling made a mistake confusing “substantive” and “procedural” that was contradictory and will have to be later clarified. And Louisiana’s Supreme Court rejected retroactivity. And the Pew graphic lists several states, such as Pennsylvania, Utah, Nebraska, South Carolina – as “not addressing” retroactivity in their laws when in fact they DID address it – they REJECTED it. They passed Miller compliance legislation the way most states to date have – non-retroactively. The Alabama Supreme Court applied Miller v Alabama to cases open under direct appeal, something not in legal dispute by anyone, and that natural life sentences for the worst cases of teens who kill can continue with the option that judges can give sentences of 40 to life if they choose to. The Pennsylvania Supreme Court found Miller NOT to be retroactive, ruling on October 30, 2013. Previously they ruled following as the Teague guidelines would direct – to cases only still open under direct appeal. Pennsylvania, which has the highest number of “juvenile lifers” in the nation, is still considering the Cunningham case which will also rule on retroactivity questions, but courts there are already ruling that Miller is not retroactive. The Louisiana Supreme Court ruled that Miller is NOT retroactive. The Michigan legislature is sending through a bill to comply with Miller that is NOT retroactive, after much debate. The Illinois Supreme Court considers lower court rulings on retroactivity. Oral Argument was held January 15, 2013 in the Bilandic Courts building in Chicago. Offender’s case is Addolfo Davis. Victims families were present and concerned. They ultimately ruled making Illinois a retroactive state. So now all JLWOP cases in Illinois are going through re-sentencing hearings. The first up, Addolfo Davis was re-sentenced again to natural life. Indiana Supreme Court affirms life without parole sentence for teen killer using guidelines established by Supreme Court. The Texas Legislature keeps life sentences as an option going forward. California’s Supreme Court is also going to rule on the matter in the near future. Minnesota‘s Supreme Court has ruled against retroactivity. Florida‘s Supreme Court was one of the first to find Miller not to be retroactive but still has legal challenges to face in complying with the ruling. Example of offender case application. Iowa‘s Governor pre-empted the whole battle over Miller in his state by mass commuting the handful of JLWOP cases to 60 year paroleable sentences, after he consulted with the supportive victims families. This action was challenged by offenders and in August 2013 the Iowa Supreme Court bucked the national trend against retroactivity and ruled that Miller was to be retroactively applied. Victims’ families who contacted NOVJL were profoundly upset. Mississippi ruled in favor of retroactivity. But this ruling is being questioned by some legal experts as “not well reasoned” because of the way it confuses “substantive” and “procedural” rules. North Carolina quickly changed their state law to comply with Miller, but left Life as an optional sentence. Their Supreme Court is so far in lock step with the majority, ruling Miller applying only to cases open under direct appeal. It has not yet ruled on retroactive challenges, from what we know. South Dakota is opposing officially the retroactive application of Miller with the final court rulings still being considered. One judge found for retroactive application in one case and ordered re-sentencing. Lousiana rules against retroactivity in the Third Circuit, and will be the focal point of the next Supreme Court case Montgomery v Alabama before the US Supreme Court on the issue. Despite earlier factually incorrect statements by offender advocates at EJI to the contrary. We have written EJI asking them to correct this factual error. In that case, the State applied to the Louisiana Supreme Court for writs seeking review of a decision holding Miller to be retroactive. In that case, unlike two others in Louisiana (Simmons and Landry), the State had raised the Teague defense. The Louisiana Supreme Court denied discretionary review. However, “[a] writ denial does not make law nor does it constitute precedent.” (State ex rel. Matthews v. Henderson, 292 So.2d 496, 498 ( La. 1974) citation omitted). After the Louisiana Supreme Court agreed to hear a case on the retroactivity issue (Darryl Tate), the State filed for a stay of all proceedings in Shon Williams, which was eventually granted by the Louisiana Supreme Court. By denying writs in Williams, the Court did not rule on the issue of retroactivity, it merely declined to hear the case. The fact that the Court has agreed to hear the Darryl Tate case proves that – why would they hear Tate if the issue had already been decided? The Third Circuit grants three offenders the retroactive application of Miller with quetions remaining if it should apply to any cases beyond those three. Read the opinion here. The Massachusetts Supreme Court ruled at the very end of 2013 that Miller was to be applied retroactively. Here is news coverage about it. These are legal concepts not easy for the non-attorney mind to fully comprehend. But upon study and discussion with experts from all over the nation, we believe other state Supreme Courts are more likely to follow the Minnesota Supreme Court’s decision in Chambers v. State, 2013 Minn. LEXIS 313 (May 31, 2013), which explained why Miller is neither a substantive rule nor a watershed procedural rule. And if this matter should make its way back to the U.S. Supreme Court, we believe that it should rule against retroactivity. The Supreme Court should consider Miller to be a procedural rule rather than a substantive one. We hope that the Court will not find the rule to be retroactively applicable, since it has made clear that only those new rules of criminal procedure which are on par with the transformational Gideon v. Wainwright (which strengthened rights of the accused) and its requirement for the appointment of a defense attorney in almost case will overcome the strong presumption of non-retroactivity. The Court has further stressed that other than Gideon, it has yet to find such a rule. The most interesting court rulings, such as the Minnesota Supreme Court, have ruled that the Miller rule is NEITHER substantive nor procedural. That will be an important point of view going forward. The U.S. 3rd Circuit Court of Appeals ruled Thursday the men can file appeals to their state sentences to determine whether the Supreme Court’s decision applies in their cases. First, it should be noted that the Supreme Court did not “say that practice is unconstitutional.” It said that having that sentence mandated by law, without discretion in the sentencer to opt for a lower sentence on the individual facts of the case, is unconstitutional. The decision Thursday involves an arcane bit of federal procedure and is easily misunderstood. The Third Circuit has not decided that Miller v. Alabama applies retroactively on federal habeas corpus to cases long since final on direct appeal. A state prisoner can generally seek review of his conviction and sentence three ways: an appeal to the state appellate courts directly from the judgment, a collateral attack on the judgment in state court (which may be called habeas corpus, motion to vacate, personal restraint petition, motion for appropriate relief, and other names varying by state), or a habeas corpus petition in federal court. They are generally done in that order.In 1996, Congress clamped down hard on prisoners filing a second federal habeas petition after one has been heard and denied. Typically, this would be a person whose case has been reviewed at least three times, seeking a fourth or more. The general rule against such petitions has a couple of exceptions. One requires a strong showing of actual innocence. That does not come up too much, for the obvious reason that most prisoners are stone-cold guilty. The other exception (28 U.S.C. §2244(b)(2)(A)) is, “the applicant shows that the claim relies on a new rule of constitutional law, made retroactive to cases on collateral review by the Supreme Court, that was previously unavailable….”Note that it is not enough that the new rule qualifies for retroactive application under general rules of law. The Supreme Court must have made this specific rule retroactive. See Tyler v. Cain (2001).Congress did not trust the district courts to make the threshold determination of whether a successive claim might qualify. In subdivision (b)(3) of the statute, it required petitioners to get permission from the court of appeals to file, based on a determination that the petitioner has made “a prima facie showing.” The Third Circuit applies a rather low threshold to this determination. Under our precedent, a “prima facie showing” in this context merely means “‘a sufficient showing of possible merit to warrant a fuller exploration by the district court. '” Goldblum v. Klem, 510 F.3d 204, 220 (3d Cir. 2007) (quoting Bennett v. United States, 119 F.3d 468, 469 (7th Cir. 1997)). I think Congress had a higher hurdle in mind, particularly where the issue is a purely legal one such as retroactivity, as distinguished from the facts of the individual case. But this is the law in the Third Circuit, at least for the time being. Petitioners argue: (1) that the Supreme Court implicitly made Miller retroactive by applying the rule to Miller‘s companion case, Jackson v. Hobbs, which came to the Court through Arkansas’s state collateral review process; (2) thatMiller announced a substantive rule that “necessarily carr[ies] a significant risk that a defendant . . . faces a punishment that the law cannot impose upon him,”Schriro v. Summerlin, 542 U.S. 348, 352 (2004) (internal quotations marks omitted), and therefore should be given retroactive effect under Teague v. Lane, 489 U.S. 288 (1989) (plurality); and (3) that, in the alternative, Miller qualifies as a “watershed procedural rule of criminal procedure” meriting retroactive application under Teague, 489 U.S. at 311. The Third Circuit does not decide whether any of these arguments are right or wrong. It says that there is a sufficiently arguable basis to go forward. I do not agree. (1) The state court did not rely on any procedural basis for denying the claim in Jackson, so under well-established law the U.S. Supreme Court could also go to the merits on certiorari review of that decision. Cases on federal habeas corpus are different. The Supreme Court in Jackson could not and did not decide such issues. (2) Eligibility for the punishment is not at issue here. This rule is clearly procedural, not substantive, under Summerlin. Indeed, the claim that the rule is substantive sounds very much like the Ninth Circuit holding that the Supreme Court so emphatically reversed in Summerlin, without a single justice voting to affirm on that ground. Argument (3) refers to an exception to the Teague rule that the Supreme Court has almost, but not quite, declared dead. It is reserved for rules of the magnitude ofGideon v. Wainwright, and the court has noted the extreme unlikelihood that any such rules remain to be made. Miller would seem to be obviously short of the mark. Arguments (2) and (3) also fail because of the rule of Tyler v. Cain. Even if they had intrinsic merit, the Supreme Court has not yet made Miller retroactive, and that is what matters under the statute. In my view, these three arguments, individually and collectively, fail to reach even the Third Circuit’s low threshold. But this is a preliminary point. The real battle comes later. The Third Circuit opinion notes on page 8 that the Second, Fourth, and Eighth Circuits have made similar preliminary findings that retroactive Miller claims can go forward in successive petitions. On the other hand, the Fifth and Eleventh Circuits have reached the merits and held that Miller is not retroactive. Along with the two Pennsylvania state cases, there is one federal case in the mix. USDoJ has apparently thrown in the towel on Miller retroactivity. Our significant concern is that most affected victims families either do not know about all this legal wrangling so vital to their lives, or they do know and, from reports we have received, are deeply upset by the chaos and trauma this creates in their lives. Some even feel seriously in danger. Advocates for juvenile justice reform have been funded to the tune of tens of millions of dollars in the last 8 years to get all life sentences for teen killers ended. They are pushing HARD to get the Miller v Alabama ruling applied retroactively. We, as a victims’ rights group, have some serious due process concerns about this push. First, most victims affected by these proposals are not being notified. They MUST, and they must be heard BEFORE the decisions are made to change the sentencing scheme. Otherwise victims rights to be heard before sentencing (which exists in law in all 50 states and federally) are violated. Also there are due process concerns – victims may not be able to obtain records and information that they might have retained for a possible release hearing one day, had they known such a thing were possible. We find generally that victims’ families walk away from a Life Without Parole sentence believing that they are DONE. And we believe that legal finality is incredibly important to victims families who have already suffered the worst thing anyone can ever have to live with. Most “retroactive” proposals from offender advocates do nothing to take into account the need of victims families to have legal finality. While some legal experts think a backwards reach is defensible, it poses serious problems since most victims of these crimes have no idea that the issue is even being debated. We believe that funding is driving this big push by Human Rights Watch, the ACLU, and other advocates for these offenders to persuade state legislators to artificially write new law bringing their states not only into compliance with Miller, but going far beyond what the ruling requires. For example, in Illinois legislators are being asked to not only retroactively undo natural life sentences for some of the worst mass murderers in Illinois history, but also to regularly subject victims families to frequent and unending hearings and legal re-engagement with the offender – for decades, for the rest of their lives. No end. The Miller ruling made no requirement of multiple re-sentencing proceedings, and no requirement to re-open long since finalized cases. Their only requirement was that judges be allowed at sentencing to consider the offender’s age. Further, in some states such as Illinois, their proposals attempt to expand the retroactive re-opening of these cases into ALL juvenile offenders, not just lifers, that are serving longer sentences for murder and other serious violent crimes. The Illinois proposal even changes the state’s entire definition of determinate sentencing and the role of the trial courts. So we see serious problems with the “overreaching” far beyond the Miller ruling by offender advocates, especially when their proposals are directly harmful to victims families and they have indicated time and again that this does not matter to them at all. Only what benefits offenders matters to them. This is why some do-gooding juvenile justice reform organizations have lost credibility in our eyes. Lawmakers can and should debate how they want to apply the Miller ruling going forward. But our cherished legal principles protecting Due Process of Law cannot be protected by retroactively re-opening cases that have been closed for decades – where victims cannot be reached, where they have no materials saved that they might need to battle a parole release of their loved ones’ murderers, where evidence is gone, and witnesses are dead. In Miller v. Alabama, __U.S. S.Ct. 2455 (2012) the United States Supreme Court held that the Eighth Amendment forbids a sentencing scheme that mandates life in prison without the possibility of parole for juvenile offenders, rendering Pennsylvania’s sentencing scheme of mandatory life imprisonment for first and second degree murder unconstitutional. [Note that as a result, the General Assembly established minimum terms for parole eligibility of twenty-five and thirty-five years, depending on the age of the juvenile, while still authorizing life without parole in appropriate cases, in accordance with the Miller decision. See 18 Pa.C.S. § 1102.1]. However, the Court did not address whether or not it’s holding in Miller would apply retroactively. 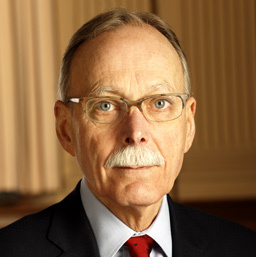 Today, in an opinion authored by Justice Saylor and joined by Chief Justice Castille and Justices Eakin and Stevens, the PA Supreme Court held that Miller does not apply retroactively to juveniles whose judgments of sentence were final at the time of the Miller decision. In so doing, the Court reasoned that the rule in Miller was procedural as opposed to substantive, and therefore should operate prospectively. The full opinion can be found at the links below. Concurring Opinion; Chief Justice Castille. Dissenting Opinion; Justice Baer joined by Justices McCaffery and Todd, opining that Miller is a substantive rule and should apply retroactively.